Based on a true story about a minister who teaches about Jesus and the bible each week, then has his faith shaken when his son starts talking about his visit to heaven? The strange thing is that you would expect a minister of the gospel of Jesus Christ to have a relationship to God. Your place in the ministry should be a Godly calling not just a job. Todd Burpo has a very close relationship with his son, but as death was knocking the door for his son, while on the hospital, operation table undergoing an operation Todd got angry with God meanwhile his wife asked the church to pray. This is a well-made film which answers many questions about the reality of heaven and God. This young boy Colton, talks about coming out of his body seeing his Dad shouting at God and the doctors working on him, he mentioned many unknowable things about his family relative’s which have passed on. After Coltons Heavenly visit he was a different child explaining to his dad not to be afraid and that Jesus was riding a horse with all the colours of the rainbow, he explained about the angels singing to him etc. 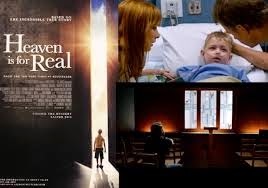 This truly is an eye opener to hear a child explain the heavenly realms after watching this film you might think of life after death in a different light. This film was also produced by Bishop T D Jakes to try and help create the reality of what the child experienced. If you want to know if there is a heaven listen to the words of this child Colton Burpo! May I Introduce The UK’s First Islamic Prime Minister? My mother talked about the first black President in America in the 1960’s how crazy was that. My friend Lester Lewis sang about a Black man in the White house we thought it was a joke! In 2008 history was made when Barack Obama was elected as the first Black President of the United Stated WOW! I never saw that coming. 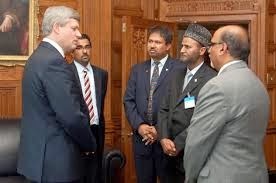 When I was a child, growing up in Wales back in the 1970’s, black people were few and far between The National Front were in your face with their hatred of foreigners (blacks, Indians etc), there was an old saying “blacks take our jobs Indians/Pakistan’s our women” but it was accepted by most of the population ‘Know your place’. Back in the day black were called ‘Coloured’ nowadays Black and Proud is what we shout. I never expected President Obama to be voted in the White House personally I thinks it’s to show the world that racism is over, look at our President! No generation has seen such an advance in mankind’s technology as the generation alive today. No generation can talk of population growth or world natural disasters as we see today. I mention this to say, in the UK there may be a Muslim Prime Minister, bringing in Sharia Law very soon if something does not change. I’m not saying I’m happy with the governmental system, I’m not and doubt if many people are. I’m not having a religious war with any Muslims. One thing I learnt as a minority is that the majority rule! That’s the way things go. 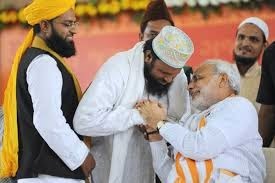 You have Christians who follow Christianity to the letter which teaches ‘Love your enemies’ then you have Islam which teaches to imitate their prophet Muhammad see Quran 33:21. The sad thing is that the Quran is a progressive book. This put simply means when Muhammad first received his revelations he was in his 40’s. His message was progressive, it started as a peacefully religion, then as the Islamic group increased, Muhammad turned from peace so subdue everyone, etc see Quran 8:39 and Quran 9:5. I would rather be under British rule, who try their best to have a system giving freedom and free speech to everyone, where people still swear on the Holy Bible than having to submit to Islamic rule with the disastrous results of beheading. Julie grew up in a family feeling unloved and unaccepted to an unmarried couple living in South Wales. Life was traumatic for this young girl who was scarred throughout her childhood and adult life. Her story starts with a tale about stealing coal to live or freeze to death this is how it was for many people back in those days. Unfortunately for Julie, it was her dad that encouraged her to steal and therefore made her realize that a life of crime was acceptable. Our parents should be the ones we look to for role models, they should be the patterns we want to emulate and our children should also see us as examples in the same way. It’s sad to see a mother who neglects one of her children and idolises the other, the result being a dysfunctional family producing a disillusioned child. 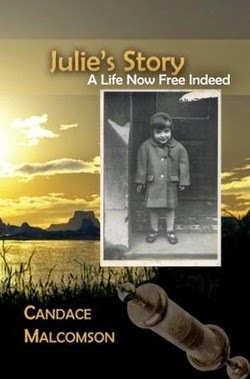 Throughout the book you will experience different dimensions of emotions, as you journey through Julie’s life experiences, from her as a drug dealer and many other unusual identities. This book will answer the question can a person who once knew Christ be lost? Has God changed his mind about using novices? Could an experienced Christian be jealous of a new Christian? Does the devil use Christian to take advantage new Christian with their lack of understanding. You will be touched and amazed by this story. This could be something you or someone you know might be experiencing. They think that there is no way out, yet she went on to find her true identity in Jesus Christ. After reading this book you will know that there is hope for everyone. Could This Be Your Reality? Nicolas Cage stars in this epic telling of the Left Behind series! How real this could be only God knows? But one this for sure is that I would not like to be left behind for any reason. Who is the Anti – Christ? Who is going to be taken and why? Is it possible for there to be an end to life as we know it on earth? I hope that I have your attention you might think it strange that Hollywood would use one of its biggest stars to act in a modern Christian movie which talks about Christian and Christians only being selected by God to be with Him in heaven! The Left Behind book series by Tim LaHaye and Jerry B Jenkins was first published in 1995. They have come alive as the last days on earth Apocalypse movies. This adaption of the movie is on the edge of your seat movie its enjoyable realistic and will make you think, is it possible what this movie portrays to really happen! Nicolas Cage plays the main character a pilot who has had a bit too much bible from his wife this has put a strain on the family because he is looking elsewhere for comfort. The pilots daughter, who hates a God that has no interest in mankind, and a TV reporter who is interested in truth no matter how strange it seems. I don’t want to give away too much of the plot but this film is well worth watching I’m sure you will be entertained even if you don’t believe in the bible or end time prophecies. The above questions are answered in this movie it’s a must watch for what is happening in the world today there has been such an interest in the One World Order. This movie could hold the key that has been predicted in the bible for over 2000 years. it has a good cast and some great acting as I stated before this could be a real Biblical scenario. Most people alive today who were born in/or before or the 1980’s would know something has changed; I believe it has gone too far to return to good old fashion love and respect for your neighbour, Maybe this film has the answer? 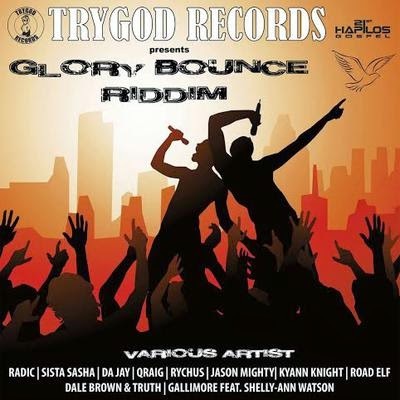 This reggae album ‘The Glory Bounce Riddim’ has a catchy tune that will go around in your head you will end up singing the songs or humming the tunes. This CD has various reggae artists, signing or rapping over the same tune, each artist giving their own interpretation to what God means to them. I wouldn’t like to pick a favourite because every track has a life of its own given through the input of the artist featuring, Radic, Sista Sasha, Jason Mighty, Qraig, Rychus, Kyann Knight, Road Elf, Dale Brown & Truth and Gallimore Feat Shelly–Ann Watson which is an amazing combination. When I was growing up, reggae music seemed to have some hypnotic spiritual influence over people, looking back and knowing music transcends all social and religious barriers, it makes it easy to understand that reggae music comes from God and not the devil as people tried to insinuate. You may be wondering what I am saying about reggae music, my answer would be just check out the last 30 years of music styles and you will see that reggae has influenced more music genre than any other style of music. The name Judah means praise and reggae music can be used to praise and worship God or it can be also used in spiritual warfare. The only caution I would add is that Satan was the music man in heaven or Media director and he knows how to corrupt what God has created to his own benefits, as long as we are walking with God what we produce will be to the Glory of God. My prayer today Lord Jesus is Bless you people and draw close to us. In 1866 a Welsh missionary named Robert Jermain Thomas sailed to Korea with a bible and handed it to a soldier who in turn decapitated Mr Thomas, his lifeless body fell to the ground this was just another death by martyrdom, added to the spread of the gospel of Jesus Christ. Over a hundred years later the same seed that fell to the ground has produce over 12 million Christians in South Korea today! A young boy who preached his first sermon at the age of seventeen in South Wales he came from a privileged background but gave it all up to follow the leadings that Christ had placed in his heart which he acknowledged in a letter a letter he addressed to New College London that he was called to sacrifice! He took to the task enthusiastically first travelling to Shanghai China with his wife Caroline Thomas in 1863 as newlyweds, after a few months she wife died 1835 – 1864. He had a gift for languages so he moved north to Chefoo nearer to Korea working in the customs office it was here where he met some Catholic believers who had no bibles. When you in the will of God your steps are ordered by Him we may not understand why we make some of the choices we make but God has a plan. Robert gave up his job and went with these believers to Korea in1864 and started to spread the word and give out bibles, this was a risk because if caught with a bible it could cost you your head! The Regent of Korea Daewongun at this time was against western culture and wanted to kill 10,000 Catholic believers. In 1866 the ship Mr Thomas was on, was attacked and destroyed but he got to shore still giving out his bibles and as stated earlier was killed while giving them out. The story continues in 1890 Samuel Moffett 1864 – 1939 went to North Korea (sent by the same bible society that renounced Robert Jermain Thomas )as a missionary and met the twelve year old boy (Choi Chi Ryang) who received a bible from Robert Thomas just before he was beheaded. Now at the age of thirty eight became a Christian because of the life of the martyr Robert Jermain Thomas and many were elders in the church started by Samuel Moffett. South Korea has the largest church in the world and has prospered by God blessing the land. My prayer today is bless us so we can bless others! Is Allah God Mohammed or Jesus? I believe Christians should govern the world, who ever said separate Church from state got it wrong even though the church very rarely gets thing right, there are so many denominations that Christians are confused about what the truth is. When I stated that Christians should govern the world I’m talking about people like King David, who The Bible said was a man after Gods heart. Dr Martin Luther King Jnr would have got it right. Abraham Lincoln was a good leader and many others; the problem is that many people behind our leaders give bad council. This blog is specifically aimed at Islam, it has been in the news with bad press since 11 September 2001, on one hand people blame the Muslims, on the other hand many people became Muslims claiming it’s a conspiracy against Islam! A person can believe what they want to believe, and thank God for that, but I wonder how many western Muslims would actually live in a Muslim state under sharia Law. Why would a women allow their husband to have up to four wives is that love? I call it selfishness and discriminating, only a foolish woman would agree to something like that! Christians call God Father because he communicates with us but Muslims cannot understand a loving God. Allah is a far away unreachable God. God, who can do all things allow Mary a virgin woman to have a baby without a human father. He must can only be the Son of God Jesus came to take away the sins of the world. That’s why he cannot be rated the same as any prophet who has an earthly father! To rate all prophets the same is foolish, the bible talks about false prophets, it also talks about Jesus who was greater than Moses (see Deuteronomy 18:18) therefore to put Mohamed or any other prophet in the category as Jesus simply doesn’t make sense. A roll call is given at a police station, officer Wright has just been promoted to Sgt Sam Wright, while he is waiting for his transfer he is asked to partnership with officer Mac McDonald, a racist who hates everything and everyone. Sam is a part time pastor who is called to love everyone. Is this partnership, a heavier load than what can be expected? Mac McDonald has a wife named Sarah who is trying her best to keep the family together but to no avail. Father and teenage son just can’t get along, they both seemed to have hit rock bottom. Sarah McDonald starts to see a psychiatrist about their son but she realises that the problem runs through the whole family. In contrast to Sgt Wright his problems stems from the love he is supposed to walk in, now faces a blatant racist how is he going too deal with this situation that he has no control over? This is truly a clash of two kingdom’s what the outcome will be is obvious. The lessons both men must learn is thought-provoking and unusual. 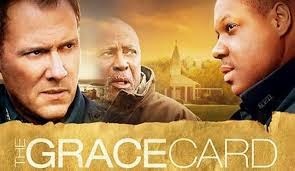 This film is a must for all races and age groups, it is full of wisdom, but also realistic a moving and powerful story line with one of the best endings of any film I have ever seen. Music transcends all languages and has the power to change atmospheres. There is something about Christian music that is touched by Gods Spirit it truly moves all barriers to style or genre of music! Rise up and Praise The Lord is no exception Zoe is a woman of God who is anointed to sing gospel music. Back in the days when revivals were touching America, the healing Evangelist, they were accompanied by crusade singers, Zoe reminds me of those singers: Anointed of God to bring His presence to meetings. Zoe has a strong versatile voice which is capable of singing different genres comfortably. Her new release ‘Rise Up’ is tribute the talent God has given to her. The title track uses the Lord’s Prayer to convey a message that we are made to praise God it has a lively African flavour a perfect way to set the stage for the tone of the CD. Track two is one of my favourite songs ‘Born Again’ on this CD it has a chill out tempo which can help a person relax into the presence of God. If you like reggae culture track 9 ‘Love’ is for all the Bob Marley lovers. Maybe you want to be taken to the 70’s then I recommend Oshee which means thank you Lord, track 10 where Zoe shows her thankfulness to God. To finish the compilation you will hear Zoe’s personal testimony. Listening to this 11 track Cd you can truly hear the passion of Zoe Selah Smith may God use her to take people to a higher place in God. 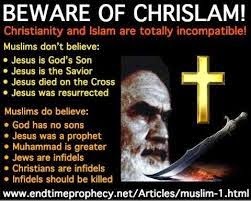 A friend of mine spoke to me a few years ago about Christlam, what is this I asked he talked about an Islamic friendly gospel? It is impossible for a Christian to say Allah is one God and Mohamed is his last messenger as Muslims claim. I’m disgusted that the UK government think this is ok and we can live side by side with Islam ‘the religion of peace’ as long as you don’t show a picture of Mohamed because they will kill you. God has a Son named Jesus. God begets not nor is He begotten see Quran 112:3. This is just a blatant Anti – Christ religion. The bible states that we should correct false doctrines see James 5:19 Galatians 6:1. Only the truth sets you free John 8:32. I have read the Quran it’s the most confusing book that’s probably been printed and unless you understand the hand me down traditions you would think it was nonsensical rubbish. This is a strange thing to say considering Muslims say Jesus did not die! People read it and say it’s from God well I thank God I don’t follow Allah! I wonder what Islamic Muslim religion of peace will think of this Blog?